POCKET GAMER - 9/10 - "This is a rich and stunning third person adventure"
APPLENAPPS - 4/5 - "Simply one of the most deluxe experiences you can find in the App Store"
- Fully 3D exploration using agility, tech scanners, and psychic powers. - A party system where the player can choose which characters to accompany them on missions. Different characters will enhance varying aspects of Eisenhorn's skills. - Unlock and utilise the Imperium's most iconic weaponry. - Fully voiced acted, with Mark Strong providing the voice for Eisenhorn. 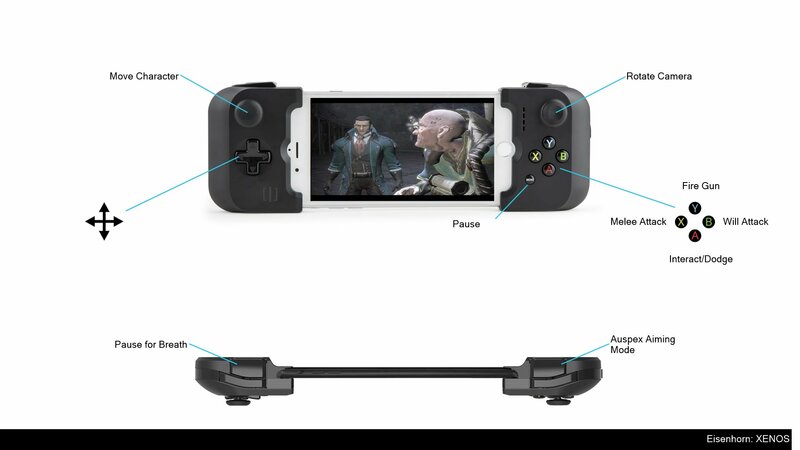 - Full support of MFi game controllers and iCloud saving. IMPORTANT! 'Eisenhorn: XENOS' has been developed to run only for iPhone 5S, iPad Air, iPad Mini 2, iPod Touch 6th Generation and up.